What you say you need and what you really need are often not the same. Sellers often make this mistake assuming that what we say is our real need. They are buying holes – they buy to meet a need. A better hole? Isn’t a hole just a hole? Who cares? Should I buy Morton salt or generic salt? Can you really taste the difference? Which leads us to what customers really want. Questions That Sell: The Powerful Process for Discovering What Your Customer Really Wants . Paul writes about five things that summarize what customers really need when they evaluate your products and services. What you’ll realize is that they are filling both a logical need and more importantly, an emotional need. Every purchase first fulfills an emotional need which is then justified with logic. Here are the five needs Cherry shares. The first thing that goes through our mind when we buy is success. Will this product fulfill my need? When you satisfy your need, you feel successful and you want to share that feeling and that solution with others. That’s why many products sell through word of mouth. Plus we want others to be successful while the referral makes us look and feel good! We all love our freedom and it’s in our human nature to be in control. Products that give us freedom satisfy the real need for independence. The typical car commercial really emphasizes this need. The ad shows someone driving down an ocean-side highway with the top down, smiling as the ocean breeze blows their hair. Cars give us independence – we just get in, turn the key and take off to the destination of our choice. It gives us amazing freedom to go when and where, and we don’t have to wait for anyone. If you’re selling cars, you’re really selling control and freedom. As previously mentioned, we like to share our successes because it makes us feel good. But, it also makes us look good. We buy a specific car because we like the look and feel and we like the image that it portrays. It says, “Hey, look at me, I’m racy, rich or sporty.” We want others to recognize us by our choices. In business, especially in a meeting, many speak to be recognized with less consideration given to the relevance or true importance of their comment. We all want to avoid failure, so we seek to minimize that risk. Sometimes that means making a less researched choice because the risk of failure is low. In the 1980’s, IBM was the giant, and as the saying went, “No one ever got fired for buying computers from IBM.” As a former competitor to IBM, I can testify to this truth. More times than I like to remember a customer spent $100,000 more than the solution I offered because they were buying IBM. They were a safe and secure choice – they had the reputation and customer service records to prove it. I recently ordered a smart watch to track my physical activity and calories. I can’t wait to see how – if – it changes my activity behaviors. And, as you may guess, a friend told me about it because of the success he’d had and now he’s getting recognized, which makes him look good. Remember these five needs the next time you’re with a customer: success, independence, recognition, security, and stimulation. 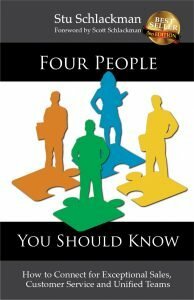 Using this knowledge will help you connect and provide the value that they are really seeking.